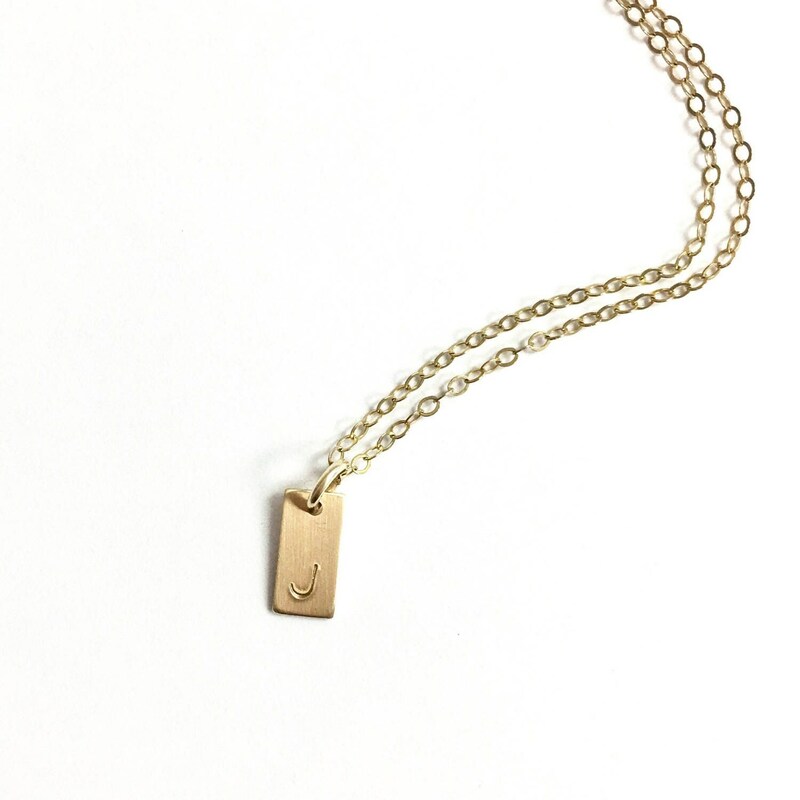 This delicate little initial is hand stamped on a tiny gold filled rectangle charm. 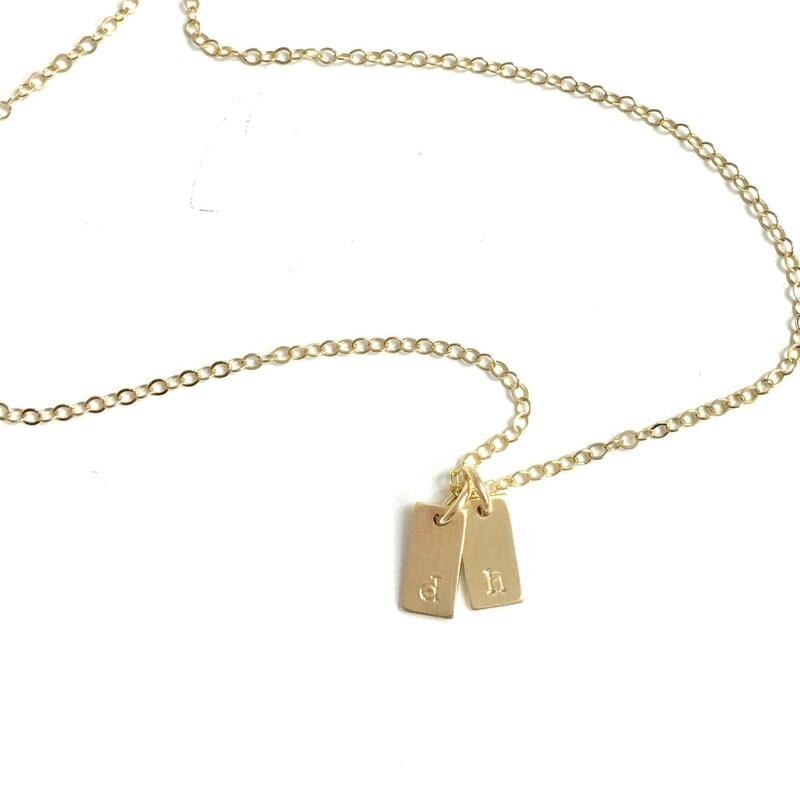 It is customized for you with an initial of your choice and adorns a 14kt gold filled shimmering link chain. 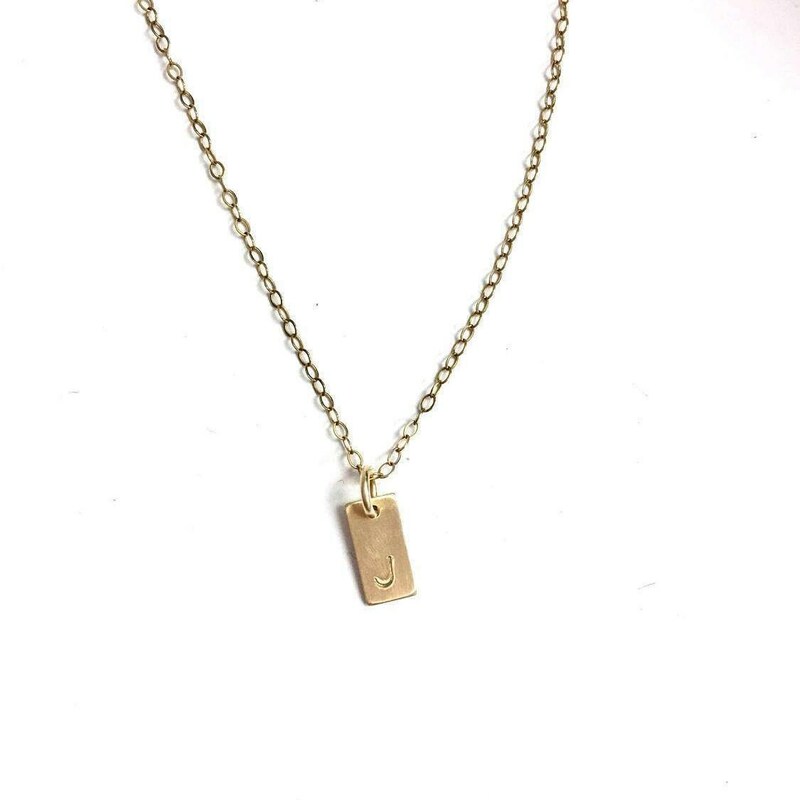 Select up to 4 charms for your necklace! Purchased stamped initial necklaces for my two matrons of honor. I know they’re going to love them! 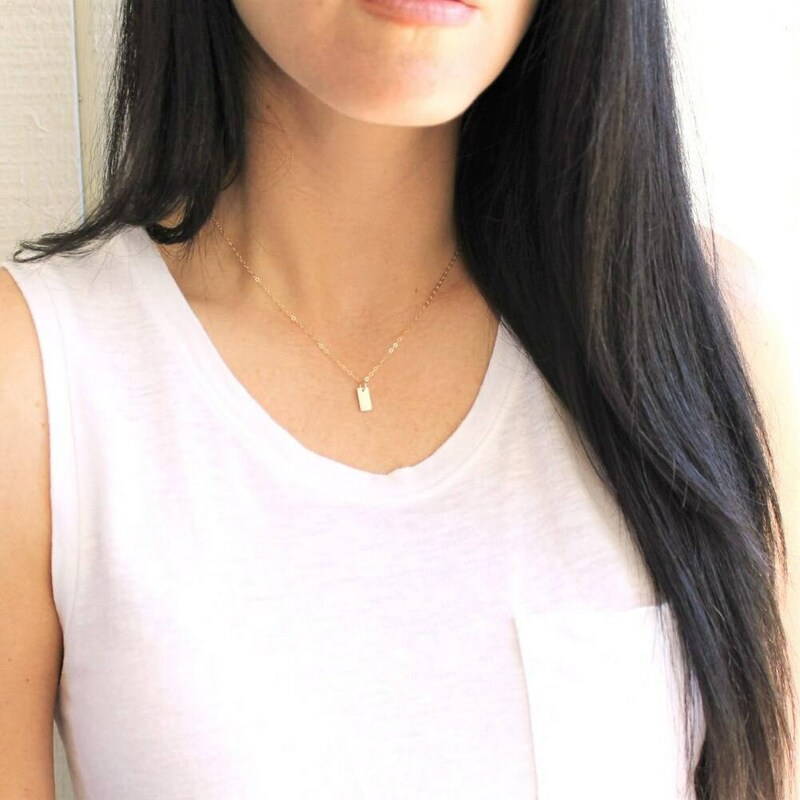 Thank you, The Silver Wren - the only place I shop for jewelry! Great quality and super fast shipping. Ordered for a baby shower thank you gift and my friend loved it! all these necklaces are beautiful!! Good quality and love this simple and yet classic design! 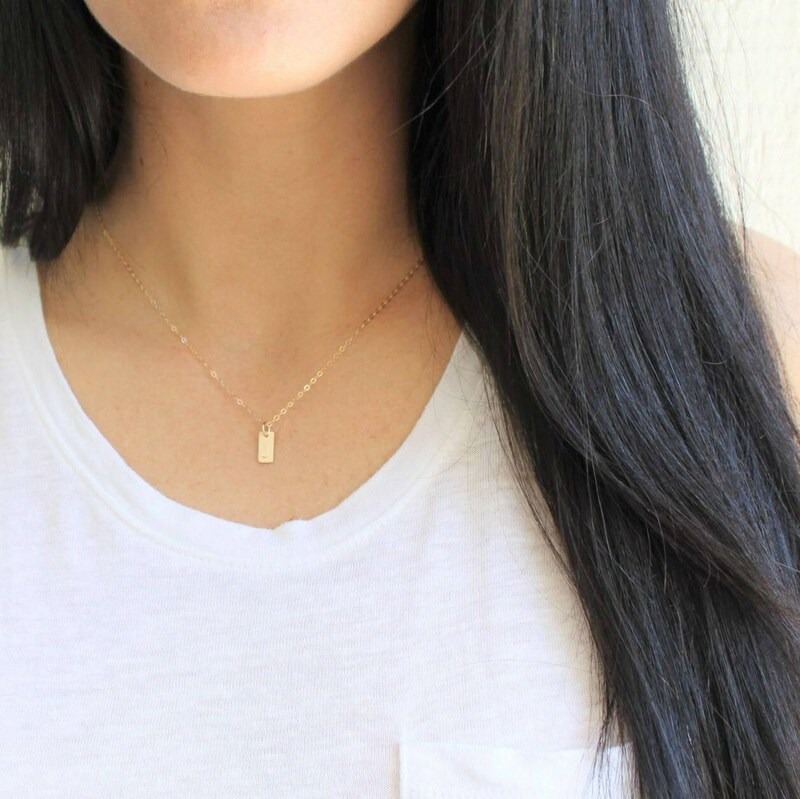 Perfect delicate necklace. Don't want to take it off.